Tango is a term used to describe a partner dance used for recreation, performance and competition. Additionally, there are three different types: American, International and Argentine styles. It originated in Argentina in the late 1800’s and then spread to other parts of the world in a show, which went to Paris and finally arrived in New York in the early nineteen hundreds. The type that evolved in the U.S. became known as the American style and incorporated many movements from the very popular foxtrot of the period. Also, the American form became a smooth dance that moved in long sweeping movements around the dance floor but did not use rise and fall like foxtrot. Meanwhile, International style evolved in the different countries in the United Kingdom. It is used widely for Dancesport and across Europe. While all three styles of this dance are related, they have all evolved into their own unique flavor. The American style tango is the best form for social dancing. Subsequently, this form is taught in social dance studios across the United States. In addition, it is included in most ballroom dance programs as one of the five classic dances. 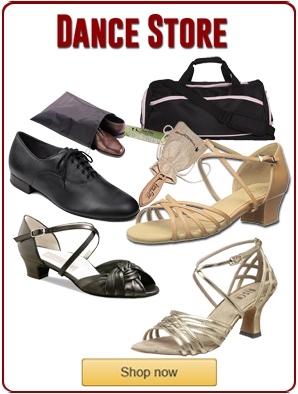 This style uses a staccato type movement with no rise and fall and moves counterclockwise around the dance floor. The other dance styles in this category are waltz, foxtrot, cha cha and rumba. Therefore, the American style has been popular since tango first arrived in the U.S. and remains a popular dance today. The International style originated in Europe. Also, it is popular in parts of Asia, particularly, Japan. In addition, this is the favorite form of the dance for competition and dancesport. In the last twenty years, the Argentine style of the dance has risen in popularity, as well. During the two-thousands an interesting phenomena arose of swing dancers inserting some tango movements in their swing. Swango is a hybrid form of the dance that incorporates both swing and tango dancing. San Diego is home to several quality milongas. The longest running one, Sin Nombre, hosts a milonga every Friday night at the Movement Dance Center. We recommend all dancers learn tango to focus on lead/follow techniques and to work on musicality. The dancers that learn to this dance find it easier to learn the other dances.